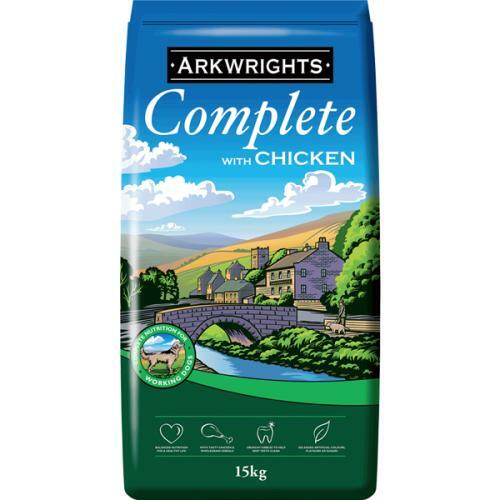 Arkwrights Complete with Chicken is a dry food formulated for working and sporting dogs. Made with chicken and whole grain cereals for palatability and slow release energy. Containing 18% protein, this is a quality food that is low in fat and provides all the goodness that your dog needs for a happy and healthy working or sporting life. Suitable to be served moistened or dry. Cereals, meat and animal derivatives (minimum 4% chicken/beef), oils and fats, minerals.